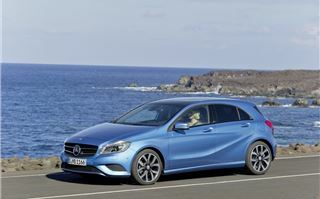 It's out with the old and in with new for the third generation of the Mercedes-Benz A-Class. 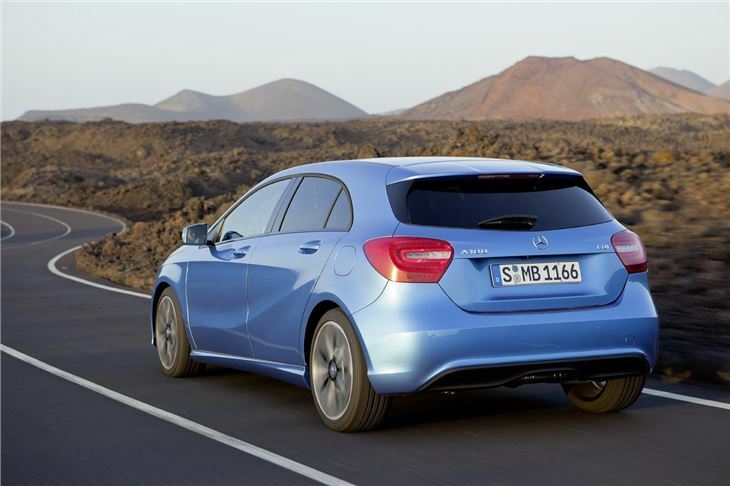 Out goes the boxy bodyshape and upright driving position and in comes a car that's much more of a match for premium compact hatches like the BMW 1 Series and Audi A3. It's been a long time coming. So, what's changed? Firstly, it's lower and longer. The more conventional hatchback design means that it's 18cm lower than the car it replaces and 41cm longer. The shape is much more what you'd expect from an upmarket small hatchback and with 341 litres of space on offer, the boot isn't bad, either. And that theme continues with the feel-good interior which uses good quality materials and textures without going overboard and looking 'bling' – it's the John Lewis of car interiors. The standard fabrics look smart, while the leather options give the cabin a distinctive and almost bespoke feel. It's packed with kit too, some of which is standard and some is optional. 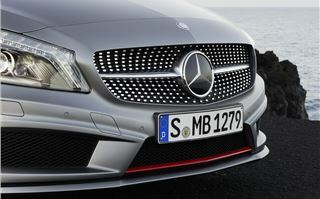 Every car gets and iPad-esque centre display, which first made its debut in last year's B-Class. This replaces the more conventional colour screen and is where sat nav, stereo and on-board information is displayed. Despite its looks, it's not removable, so don't expect it to double as a tablet. It's a modern take on the in-car screen, but you do wonder how quickly it will date. Tablets are very much up-to-the-minute technology, but with Apple refreshing its products with frightening regularity, it might just look dated by the time the car is facelifted. That's the key difference between technology and car companies - the latter has much longer product cycles. 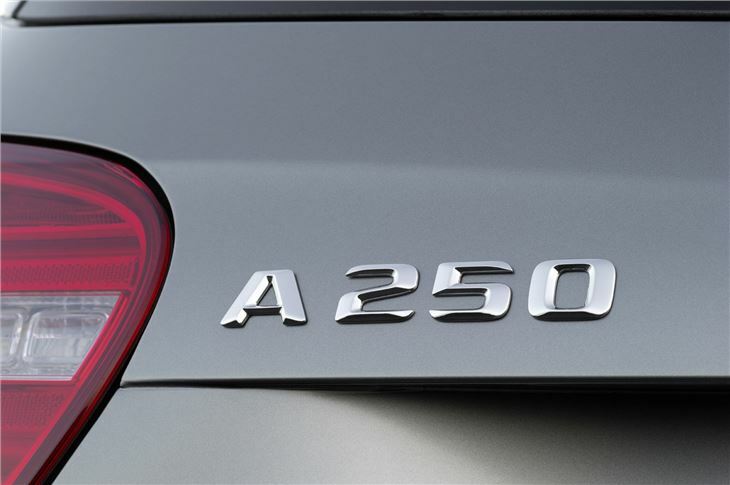 While on the subject of iPods, iPads and iPhones, Mercedes-Benz (among other manufacturers) has been working closely with Apple for better on-board integration. You can download an app for seamless connectivity, including social media on the move. Later this year it will include SIRI for what Apple calls “eyes-free” driving. You'll be able to use it to check calendar appointments and send e-mails on the move. 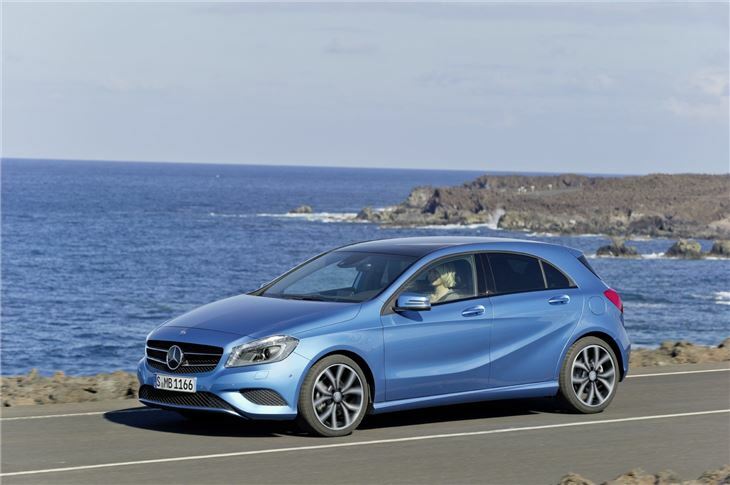 Anyone who owns an old A-Class will notice that the driving position has significantly changed. The old model used a 'sandwich floor' construction, designed to house new technologies and powertrains that never quite made it out of the prototype phase. The upshot was that you were sat upright and higher than other hatches. This time it's more low slung and coupe-like with plenty of adjustment in both the seat and steering wheel, which makes for comfortable long distance journeys. In the back there's decent head and legroom for two and three can be seated at a push. The engine line up is unfamiliar too, with the new A180 CDI slipping in at under 100 g/km – the first Mercedes-Benz ever to do so. This 110PS 1,461cc Renault diesel engine (thanks to Mercedes-Benz's tie up with the French firm) is offered in addition to Mercedes-Benz's own chain cam 1,796cc A180 CDI with 135PS and 300Nm of torque. With two different A180 diesels, a petrol A180 and various gearbox and trim variations, it can become a little confusing. The key difference is that while the A180 CDI manages a respectable 111g/km, the A180 CDI with the Renault engine is 98g/km and with that comes lower fuel consumption (on paper at least) and tax benefits. Neither has been available to test yet, so we can't yet make a judgement about which one is the smarter buy. 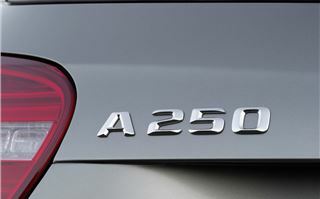 Most buyers going for a diesel are expected to opt for the A200 CDI, which despite the name, uses a 136PS 1.8-litre engine. 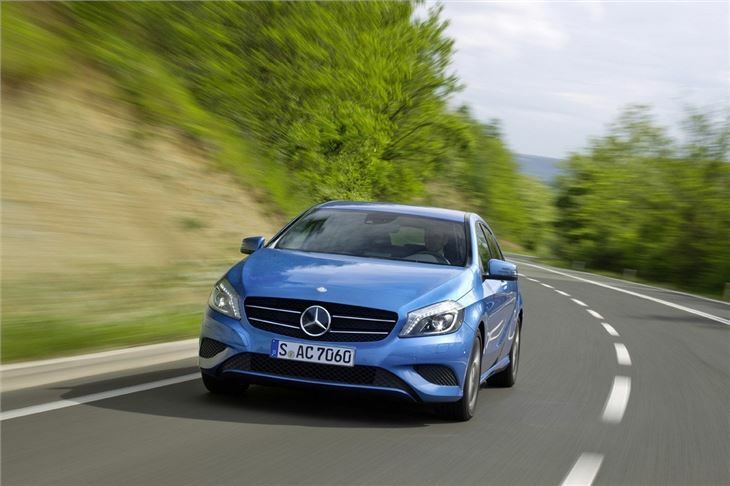 Out on the road it provides a good compromise between economy and performance and although a more powerful A220 CDI model will come later, the A200 CDI will be powerful enough for most buyers. 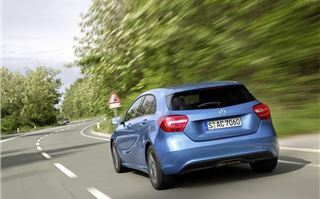 Petrol options are the A180, A200 and A250. The latter has a 0-62mph time of 6.6 seconds and certainly doesn't hang around, but on the road it's neither hot hatch nor long-legged cruiser; it falls somewhere in between. Under heavy acceleration, it makes all the right noises, but doesn't actually feel that quick and in Sport mode the gear changes feel harsh. 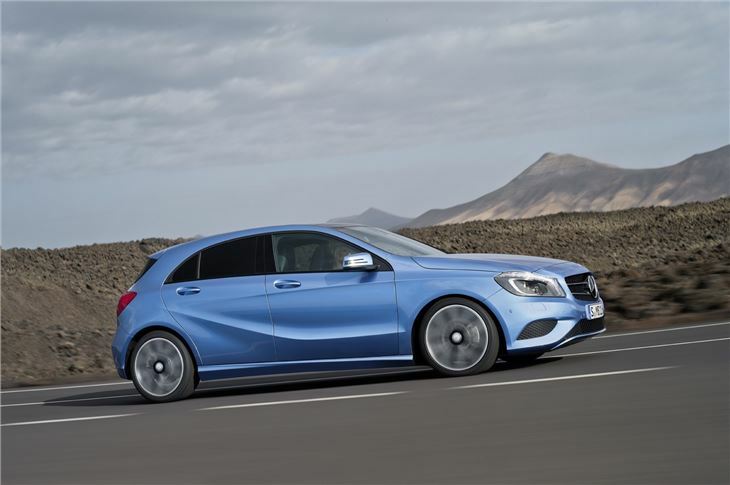 Those looking for a true hot variant (and with deeper pockets) may want to hang on for the A45 AMG, due in the middle of next year. One area that disappoints on all models is the ride. Even on smooth surfaces it doesn't settle and when the going gets rough, each of the lumps and bumps is transmitted through the cabin. It may be good to drive, but the handling appears to have come at the expense of ride comfort. It's peculiar considering how comfortable many of the firm's other cars are. 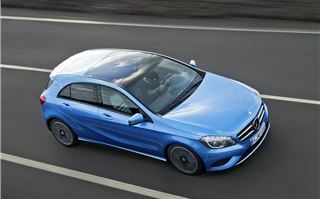 Safety has always been a key Mercedes-Benz selling point and the new A-Class is no different. 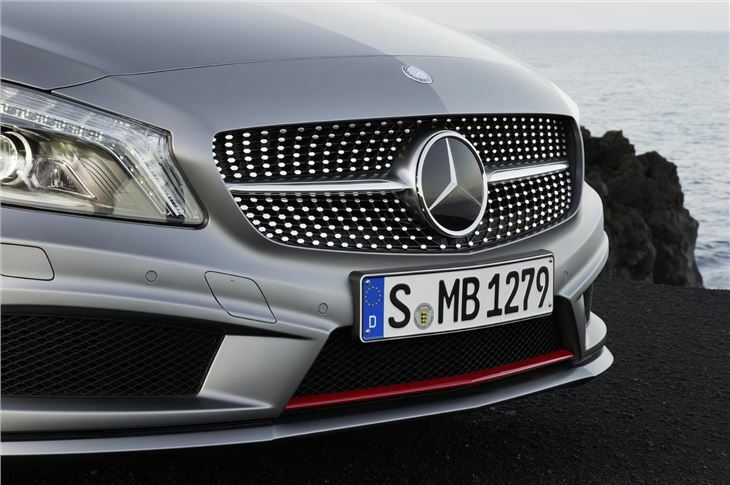 You'll find many of the systems used elsewhere in the range, particularly in C-Class and E-Class models. That means Active Bonnet, Collision Prevention Assist (which brakes automatically if it senses a crash and you don't) and Attention Assist, which analyses your driving and tells you if you need a break. 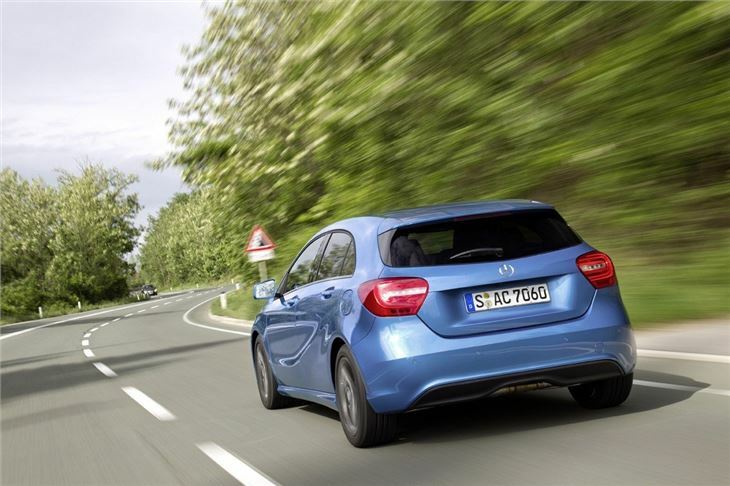 And for those wondering about 'Elk and Safety' (that's a rubbish pun to reference the famous 'Elk test' of the original A-Class in 1997), you'll be pleased to know that the new A-Class's handling is fluid, assured with good traction and excellent grip. 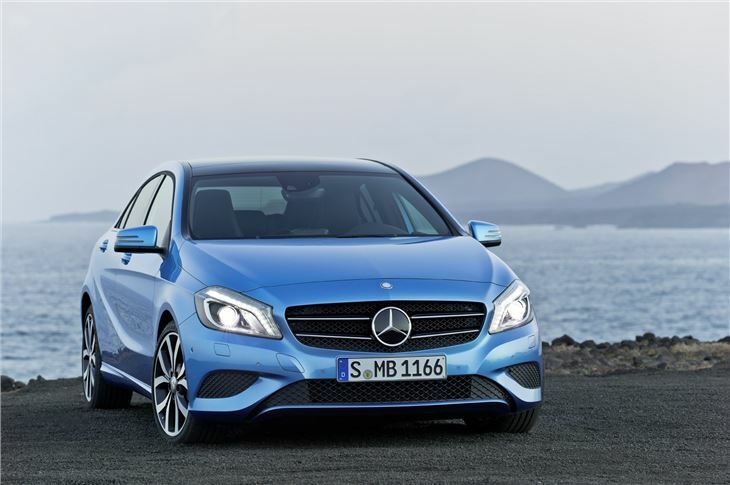 Starting from just under £20,000, prices certainly aren't cheap, but this is a good quality product that gets equipment and safety systems that you'd expect to see in some of Mercedes-Benz's larger saloons. It represents pretty good value for money when compared with the opposition. This is only the start for the new A-Class, which will spawn a whole range of variants. 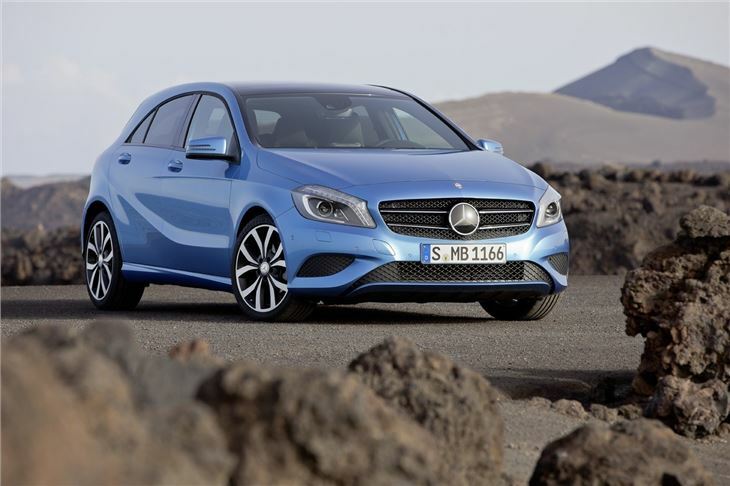 It's available as a five door hatchback only at the moment, but that won't last long. 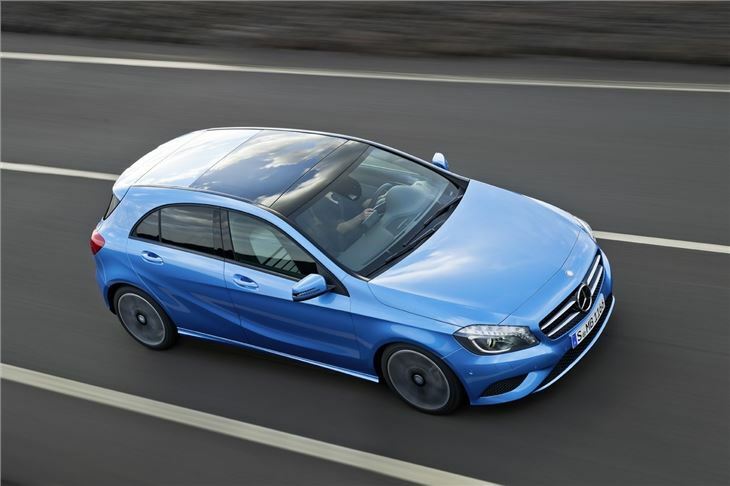 Other potential bodystyles include a three door, estate, coupe and convertible, plus the full-on AMG A45 version. 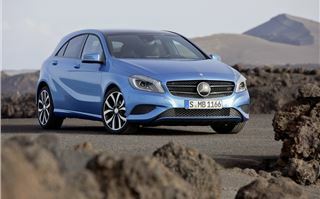 And if you're still pining for the old A-Class, don't panic, Mercedes-Benz has thought of that. 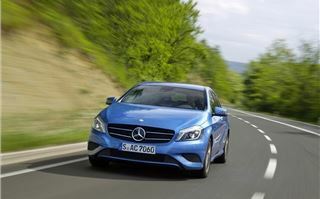 These days it's called the B-Class and is based on the new A-Class, but is much more upright.